Anthropological studies of violence must reflect the broadening analytical horizons of the world we live in, a world that prompts scholars to consider such large-scale phenomena as civil war, black-market human organ trade, neoliberal policies, and forced disappearances. Anthropologists are particularly well suited to study the historical and cultural contexts and processes in which violence occurs. There is a lack of research and training opportunities for students interested in developing an anthropological approach to studying violence and conflict. A limited number of programs in this country and abroad emphasize the symbiotic relationship between culture, taphonomy, bioarchaeology and forensic anthropology. The Violence and Conflict Research Laboratory provides an opportunity for students to develop an array of projects across disciplines, while the human osteology and trauma field school provides motivated students with the opportunity to learn how to document and process outdoor crime scenes. For instance, students develop projects that situate violence within a cultural and historical context, while simultaneously examining the biological and psychological implications of violence. Other students work on projects that explore the historical and cultural context of violence in social movements and policy making. 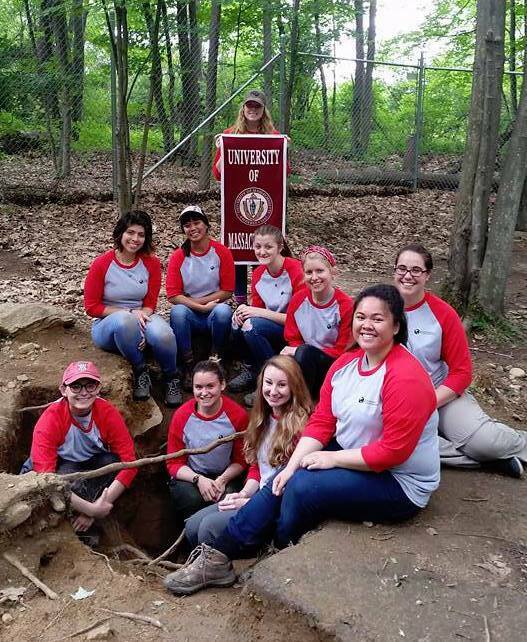 A key component of the Violence and Conflict Laboratory is the Bioarchaeology and Forensic Anthropology Field School, taught every summer on the UMass Amherst campus. The field school is a unique and comprehensive program in the Five College system and the region. Interest in violence, forensics, and archaeology is at an all time high. Forensic science is capturing the imagination of many students today, and teachers are capitalizing on that enthusiasm by bringing forensic science into their classrooms through the use of thematic teaching. By focusing on the use of bioarchaeological principles in the preservation and recovery of human remains in forensic and archaeological contexts, the field school trains students to fill the demand for these skills and training by integrating field and lab experience into the classroom. Having a Violence and Conflict Laboratory and Taphonomic Research Facility that focuses on the comprehensive documentation, collection and preservation of physical evidence associated with a wide variety of crime scenes and archaeological sites is a significant draw for the University of Massachusetts Amherst. To contact us, please visit us in Machmer Hall or email us at bioarch@umass.edu. 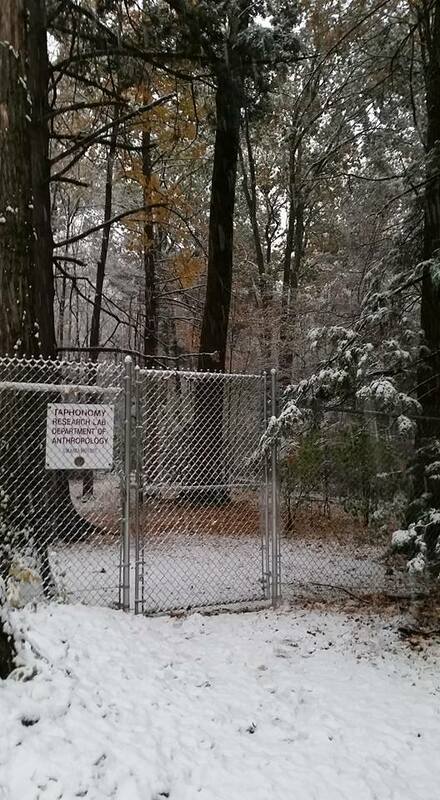 Any inquiries about use of the VCL should be directed to the lab manager: Priscilla Mollard at pmollard@anthro.umass.edu. VCL lab member Ashley Sherry just successfully defended her prospectus and comprehensive exams. She's now officially ABD. Congratulations, Ashley, on being an official doctoral candidate! Applications for our 2018 Field School season are due March 18. More information about the field school can be found at our FAQs page. Applications are now open for our 2018 Field School season! You can access application materials on our Application Process page. Dr. Ventura Pérez will be speaking at this year's meeting of the American Association of Physical Anthropologists as a part of the session: "Anthropological Approaches to Violence and Policy". Dr. Pérez's paper is "Rumor, Semantics, and Intimate Ethnography: Poetics of Violence in U.S.-México Security Policy"
Interested in projects that our graduate students are involved in? Be sure to check out Current Graduate Students in the VCL! Thank you all for a great field season! Check out our Field Journals page for the excavation journals for this and past seasons.